France has many areas that are governed by Islamic Sharia law and police and law administration does not work there. And Charlie Hebdo attack was a precursor and a beginning to much serious incursion and terrorism all over Europe.Europe will burn from now on until they deal these radicals with full force and Britain and France,Denmark etc all European countries needs to ban Sharia law or NO GO ZONES all together. USA will be next target also. This isn’t the end of two terrorist attacks. It is the beginning of a war. Freedom of speech is one of the weight-bearing pillars of democracy, and if we become reluctant to express our opinions in fear of angering Islamists, democracy will stagger. 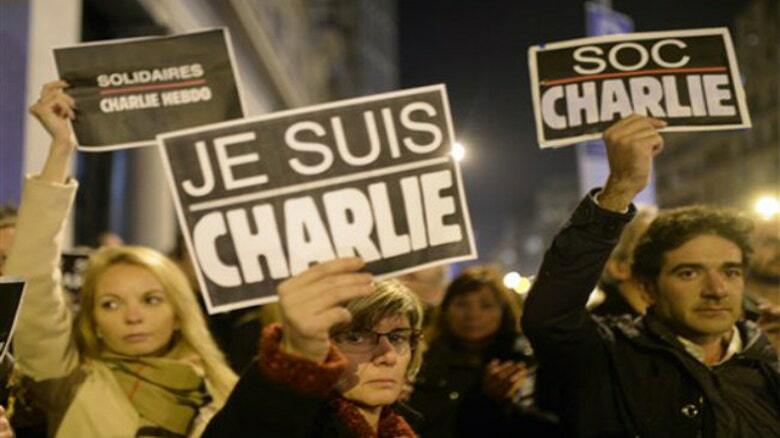 We simply cannot allow fundamentalists to threaten us to silence. Friday morning a second group of Islamist extremists stormed a kosher market in Paris. They executed women and children. The terrorists will ultimately die, too, but probably not before they kill innocent civilians. There are large neighborhoods in the Paris suburbs called No-Go Zones, where non-Muslims dare not enter. There are similar areas in cities throughout Europe. They are microstates within states, governed by Shariah law, where young people go to madrassas instead of public schools. They are recruited over the Internet, or in their neighborhoods, or at their mosques, and they are offered all-expenses-paid trips to the Middle East to fight a holy war. They travel freely across Europe and into Turkey, and then they cross, undetected, over the porous border into Syria or Iraq. ISIS trains them, gives them battlefield experience and sends them back across the border to retrace their steps home. They are returning citizens who know how to use sophisticated weapons, make car bombs, recruit terrorist cells and plan attacks. There are over 1,000 French citizens who have gone to fight for ISIS, over 1,000 Brits and hundreds of Germans, Belgians and Dutch. They shout “Allahu Akbar, The Prophet is Avenged.” We’re still calling it “workplace violence,” “senseless killings” or “man-caused disasters.” Our leaders insist these are criminal acts, not acts of war. It is a war we can win, but only if we in the West wise up now. Call it what it is: Islamist extremists who believe they are justified to fight and kill in the name of their religion. The Muhammed cartoons proved this years ago, and it was the reason why the Danish newspaper Jyllands-Posten chose to publish them. Before the case of the Muhammed cartoons, Kåre Bluitgen was not able to find an illustrator willing to draw cartoons for his book about the prophet Muhammed, as many feared for their safety. A fear that is not unjustified, as we have witnessed this week. We saw this when the world’s Islamists went crazy over the cartoons, and we saw it when the Dutch filmmaker, Theo van Gogh, was murdered because his film criticized Islam’s treatment of women. 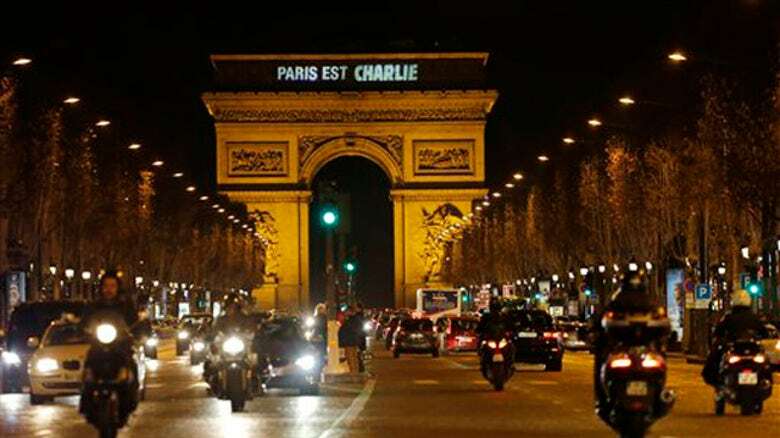 With this week’s tragedy, at least 12 people are dead because Charlie Hebdo stood up for the values of free speech. When Charlie Hebdo published satirical cartoons mocking the prophet Muhammed in September 2012, the White House officially questioned the judgment of the satirical magazine. Today it is clear that this kind of criticism is a terrible mistake. You have to get dirty, you have to exterminate this scum that is plaguing the entire planet. When and if clinton become next US president, you will see a real war to happen, Jewish state should find friends in Russia, India now as USA could ditch them.